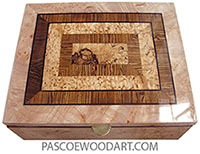 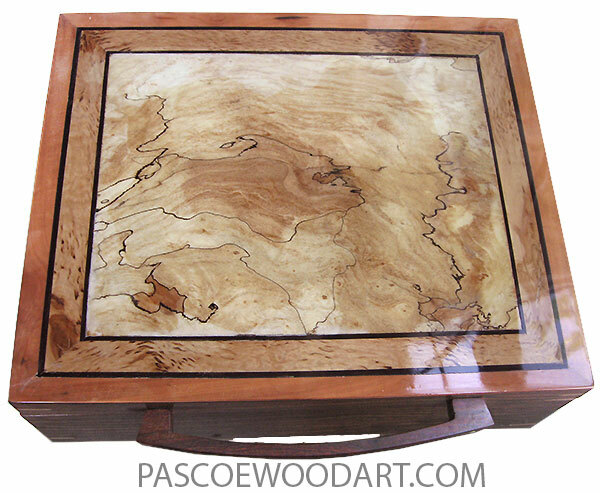 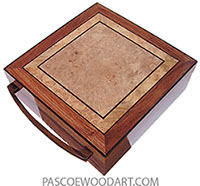 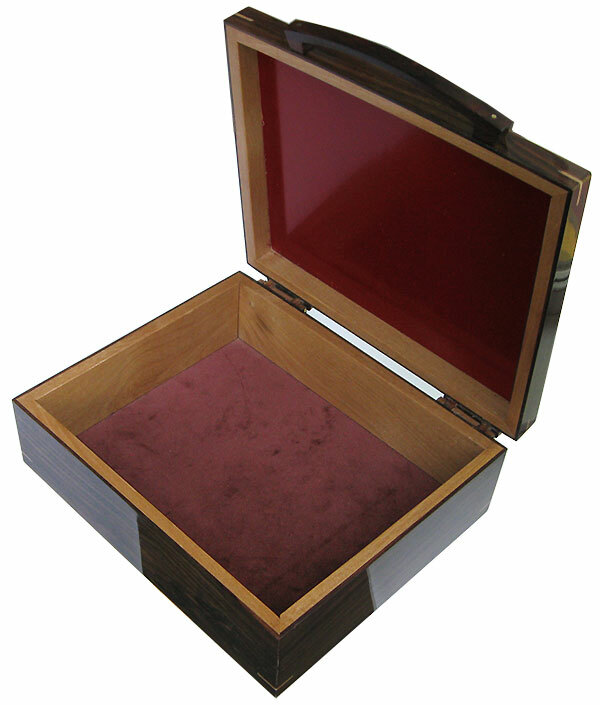 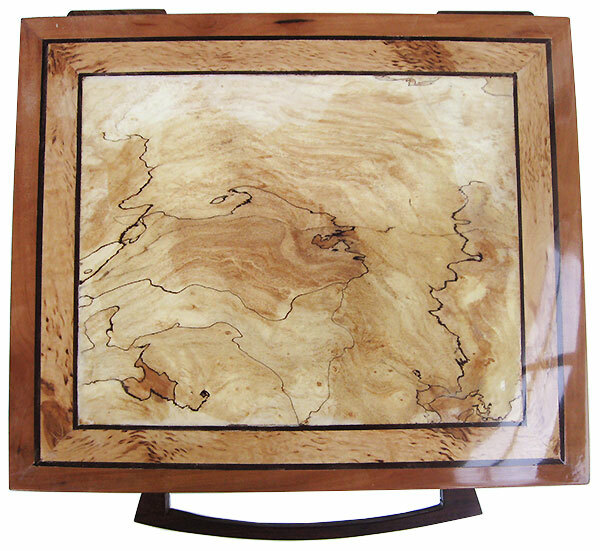 9-15/16" x 8-3/16" x 2-1/2"
This box is made of thick rosewood veneer(1/8") laminated over alder. 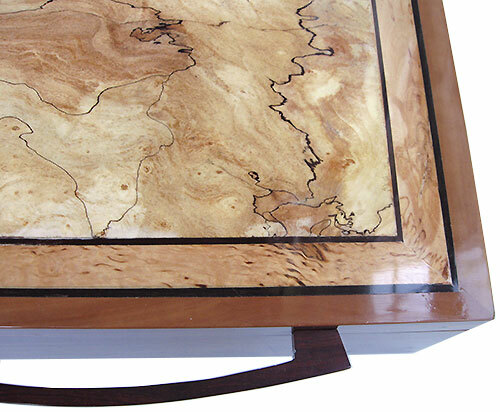 Rustic wood hinges are cut from rock-hard Honduras rosewood. 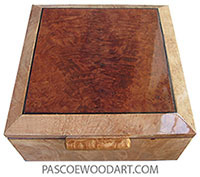 Last updated January 8, 2019. . Posted May 14, 2016.